So pleased with my new fence. Job done as planned, turned up when they said they would did a cracking job and tidied up after them - what more can you ask for. Stevie did my courtyard/driveway last year, over 200 metres, and again he did some quality work and we always get comments about it. No hesitation in recommending him. 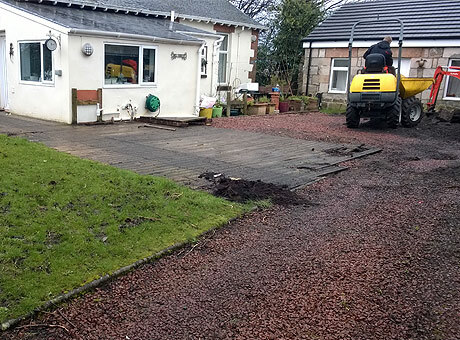 Hi Steven I would like to thank you for all your hard work on my driveway as it was a mess steven lifted the mono block paving and sorted out the sub base then reinstalled my driveway to how it was when it was first done 15 years ago thanks guys. Q How many different types of monoblock paving are there?